Someone is going to get a nice Christmas gift. 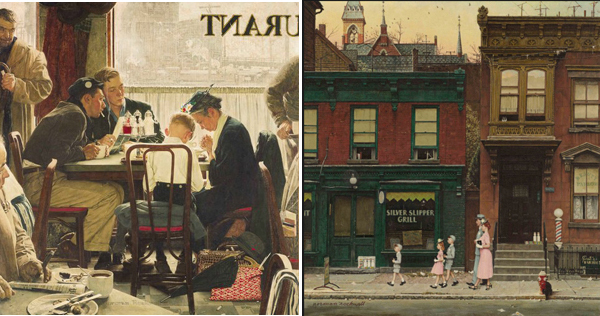 Sotheby’s will be auctioning off three of Norman Rockwell’s most popular visions of small-town Americana. “Saying Grace,” “The Gossips” and “Walking to Church” all appeared on the cover of The Saturday Evening Post.